Hi! I’m Amy, mama behind the bblulove Online Shop. 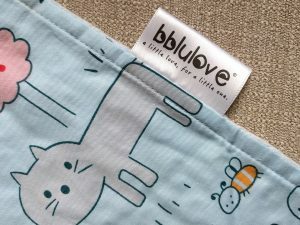 In 2017 bblulove Shop was started from a dining room table as a creative outlet and something to occupy my hands when I found myself three months pregnant. As my little surprise did somersaults in my belly, I started designing my own baby accessories as I had wanted custom, trendy items that I could not find in your every day stores. Once my little monkey was born I was quickly gaining requests for the items I had made for him, and I opened my first Amazon store. Nearly a year after listing my first product, I now have our own growing website and mama tested, baby approved products. Every one of my products have been items that I have used and loved. They have been through the test of life, the test of babies and the test of toddlers. They have snuggled and swaddled, my baby. Comforted during nap time, aided in feeding, they have allowed me to accessorize and feel stylish as a mama without the fear of baby ruining my accessories. They are soft, safe and of only the best quality. They have been used and loved. They are truly mama tested and baby approved. 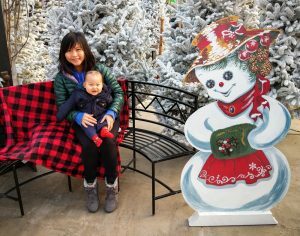 I want to give the same to you, the sweet memories with your babies. The products that stand the test of time. Products that are there to make your life easier and prettier along the way.